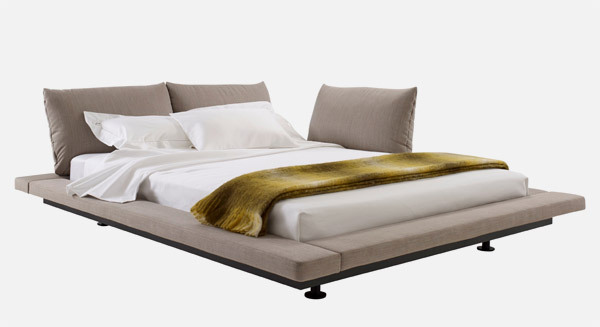 It is now over 30 years since Peter Maly created a veritable classic: the “Maly Bed” for Ligne Roset. With its generous size, wraparound rest, swivel tablet, and variable slot-in backrest cushions, the “Maly Bed” enticed you not only to sleep on it, but to enjoy reading, listening to music, watching TV or breakfasting on it. 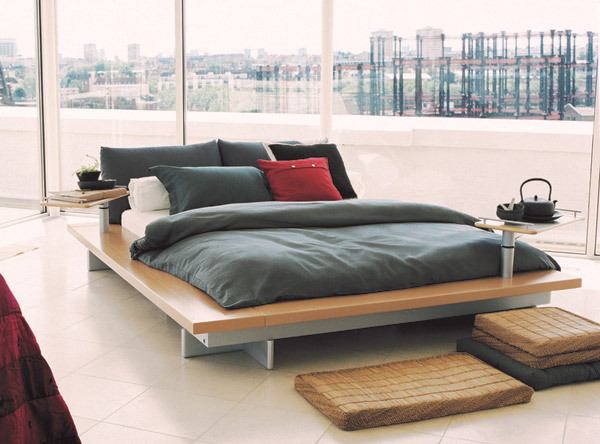 The bed is an oasis where you can feel comfy and cozy for longer periods of time. 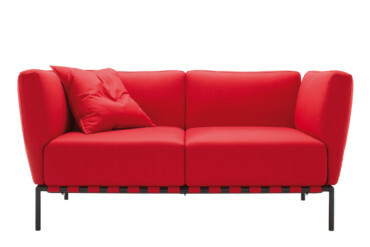 And Ligne Roset recently commissioned the designer to create a re-edition of the bed. 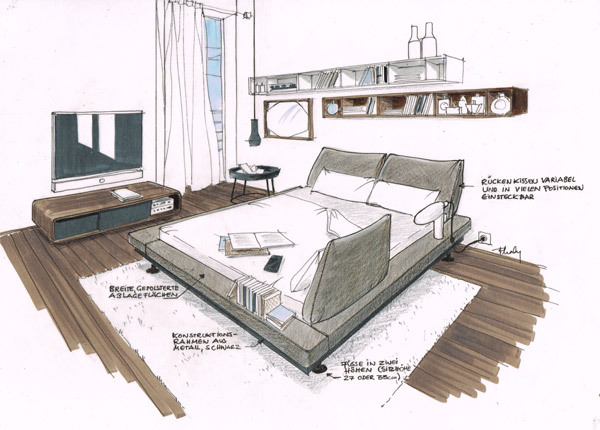 Sara Bertsche talked with Peter Maly about the design for “Maly Bed 2” and his bed preferences. 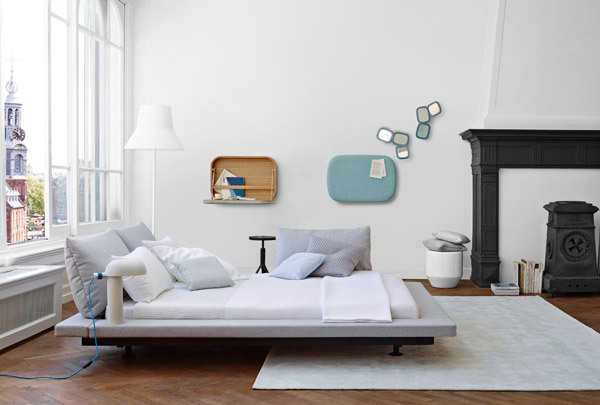 Sara Bertsche: Why has the “Maly Bed” been redesigned? 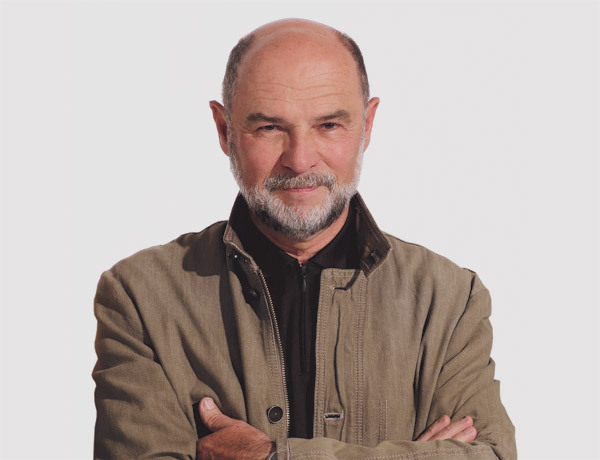 Peter Maly: Because countless dealers and end customers really missed it! During the relative short period when it was no longer available on the market, as its designer I kept on getting asked by people from all over the world where they could purchase one. The original 1983 design is one of my “modern classics” and in the revised version is now ready to last many more years. What are the differences between “Maly Bed 2” and its predecessor? 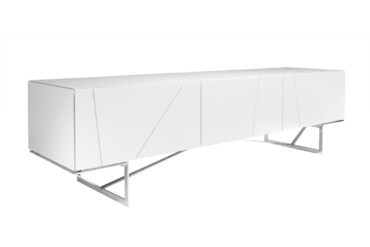 Maly: Michel Roset, who is charge of design at Ligne Roset, wanted the “Maly Bed 2” to be less voluminous than the older version, meaning “no longer quite as big as an aircraft carrier”. That was quite a tall task, as one significant feature were the differently sized asymmetrical rests and it was precisely them I was expected to make smaller! I have now given the surfaces an identical design on three sides, but retained the shape of the asymmetrical joints. And the base frame has been changed, too: I replaced the complicated wooden structure with a metal system lacquered black. Not only is the latter more refined, it is easier to manufacture. In the process, the former, runner-like wooden feet have been abandoned in favor of simpler feet made of tubular metal. Formally speaking, they are no longer that independent, but the upside is two different heights are now available. Does the new bed design reflect current social trends? Maly: The higher bed surface is doubtless attributable to the fact we living in an aging society. Meaning comfort because ever more important. 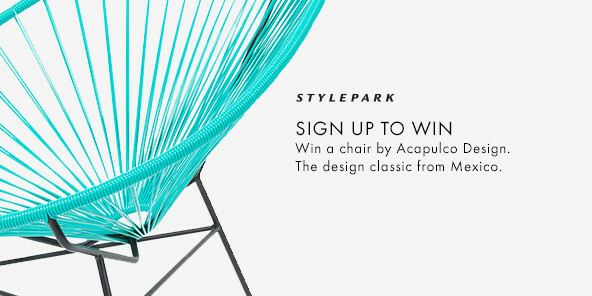 What especially inspired you when designing the bed? 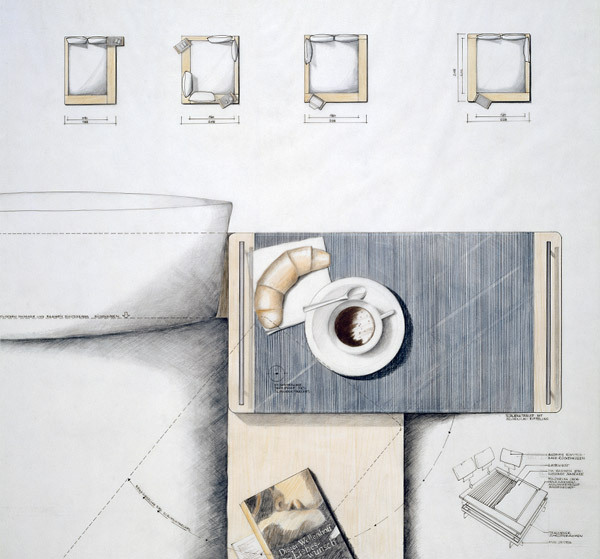 Maly: When I put the original design down on paper back in 1983 I was definitely strongly influenced by Japanese interiors; it’s an aesthetic that later resurfaced in my work, for example in the “Reve'd Edo” boxes, which I likewise created for Ligne Roset. 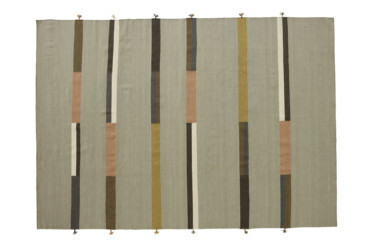 And of course also in my “Tosai” collection for Japanese company Conde House – there I tried to combine the traditional Japanese aesthetic with the German culture of design. 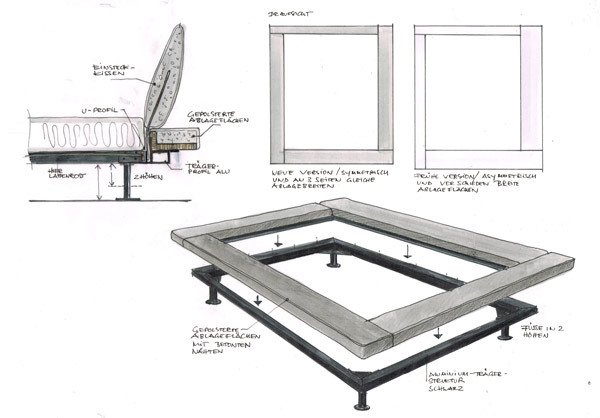 What are the special challenges of designing a bed? Maly: One limitation is simply the fact that you have to accepted the standardized mattress sizes. In particular those incredibly thick box-spring mattresses spell proportions that simply don’t readily fit sleek designs. And I for one doubt whether they really deliver that much more comfort. In what sort of bed do you sleep at home? Maly: I have two “Maly beds” at home. The 1983 model is in our guestroom, for visitors to sleep on – while I myself have a jubilee-edition model, the “lit Maly 2003”. So how do you use your bed? Maly: I don’t use it to sleep on. For me, it’s also a tranquility zone where I can relax completely. At my age I could long since have retired, but as a designer there’s always something interesting to do and I travel a lot. Meaning it is all the more important to have such an oasis of calm to which I can withdraw. After a long working day I really like to read for an hour before falling asleep – and I love that gradual drift from relaxation into sleep.